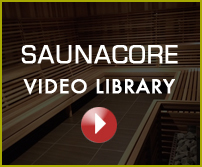 Welcome to Saunacore’s Articles section where you will find lots of current and interesting articles on all sorts of sauna & steam bath topics. This ARTICLES section was created to give internet browsers a great place to find lots of articles of general interest that may be related to sauna and steam bathing. More articles will be added periodically, and if you would like to submit your articles for inclusion please email us.